Chang has been fairly quiet since joining Cisco. But she broke the silence in November, speaking publicly for the first time at Cisco’s Partner Summit, and is set to take to the mainstage at Enterprise Connect 2019 – one of five keynoters in a lineup that includes Lori Wright, GM of Microsoft 365; Pasquale DeMaio, GM of Amazon Connect; Rany Ng, director of product management at Google; and, as announced today, Joe Park, chief digital architect and VP of associate digital experience at Walmart. I had the opportunity to sit down and get to know the “mysterious” Amy Chang in a recent No Jitter interview. Having had spoken with various members of her executive team, I had heard about her energetic personality and striking intelligence but knew little of how she planned on leading the Collaboration group forward. In our chat, Chang shared her thoughts on everything from that to her transition into Cisco leadership, the place for AI in collaboration, and Cisco’s recent executive leadership changes. 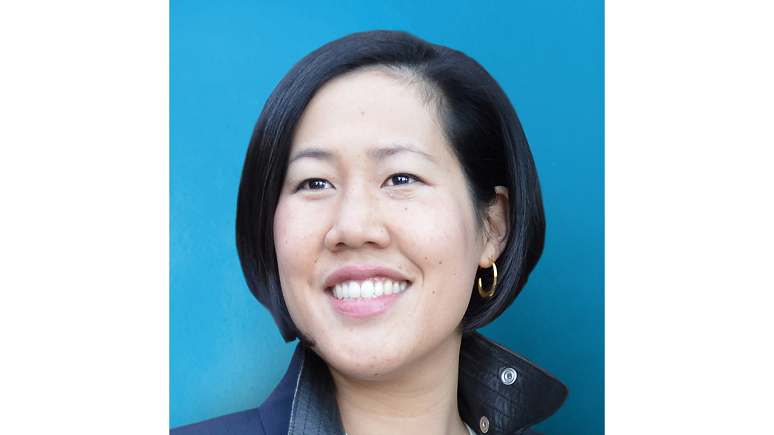 Once at Cisco, Chang said she began to identify areas that could be improved, and found a lot of low-hanging fruit. “We’re talking like watermelon-sized fruit on the ground that you can pick up,” she said. As one example, she noted that she is working to reduce the time for order processing by an order of magnitude. “I just want to keep shrinking and shrinking and shrinking [the number of days it takes partners and customers to get stuff in their hands] down so that we’re extremely responsive,” she added. At a high level, Chang said she thinks about the business through the lens of what collaboration does for people. “Collaboration touches 300 million human beings on a regular basis for Cisco,” she said. “And we’re on the front lines of crafting that meaningful experience.” It’s about building bridges, not islands, she added. Chang gave a nod to the redesigned Webex platform as an example of how Cisco intends to create cohesion in the collaboration experience. “The [Webex] experience has gone from being the best that the 2000s had to offer to really being in the year 2019,” she said. For customers, the benefit of having a single platform is “multiplicative, not just additive,” she said. Think of Cisco Collaboration as a solution, not a bunch of point products, she added. A final piece of the puzzle is continuing to serve premises-based customers. “We’re cloud-first, but not cloud-only,” she said. Cisco still has more than 30 million users on Jabber, many still active on premises-based solutions, Chang said. “These customers are going to be on those for a decade or two to come, and we’re not abandoning those products,” she added, noting a departure from the company’s previous stance.